She had no idea what was happening when she unknowingly looked up at her family for the last time. It had been a quick goodbye, and suddenly a lifetime of good memories were gone. Olivia is such a pretty girl! 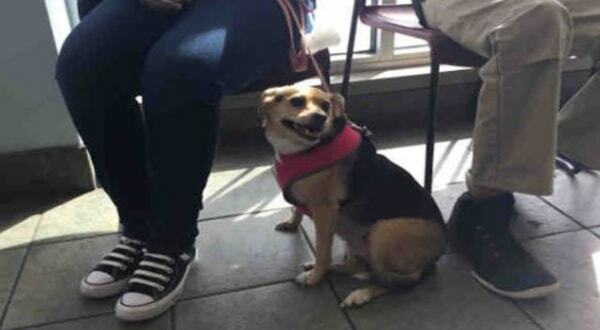 She was surrendered by her owner, was previously spayed which means she can go home today, and is said to be good with kids, people in general, and to even house trained. She is a very happy girl that wants nothing more than to just be with you. She is great at making friends and cannot wait to meet you. Olivia is about 20 lbs and is 4 yrs old. 1 Response to "Heartbroken Olivia sat quietly in shelter lobby as her owner walked away"